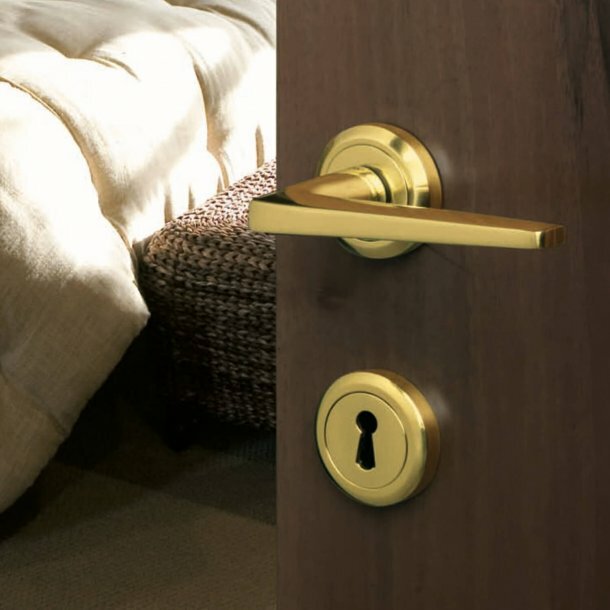 This beautiful messing door handle from Italian Becchetti Angelo Bal is a solid brass without lacquer that gives the surface a beautiful patina over time. 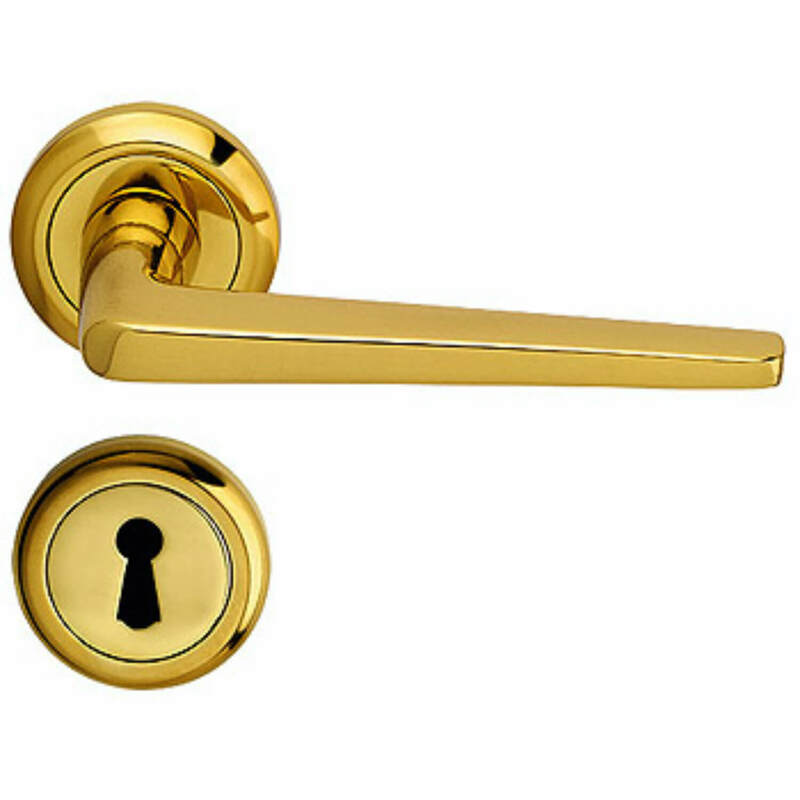 Rosettes and Escutcheon are with hidden screws so the door handle appears simply. In addition, the rosette contains a return spring, which ensures that the door handle always returns to horizontal position when released.